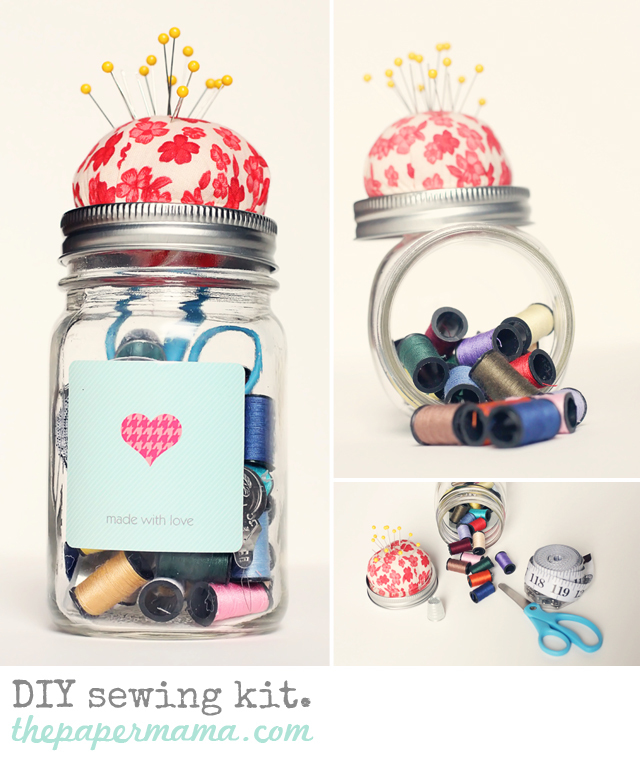 DIY sewing kit…. in a jar. One of the most simple gifts ever! I love jars. I love putting things in jars. I love drinking out of jars. I like planting things in jars…. And, now: I love making kit gifts out of jars! 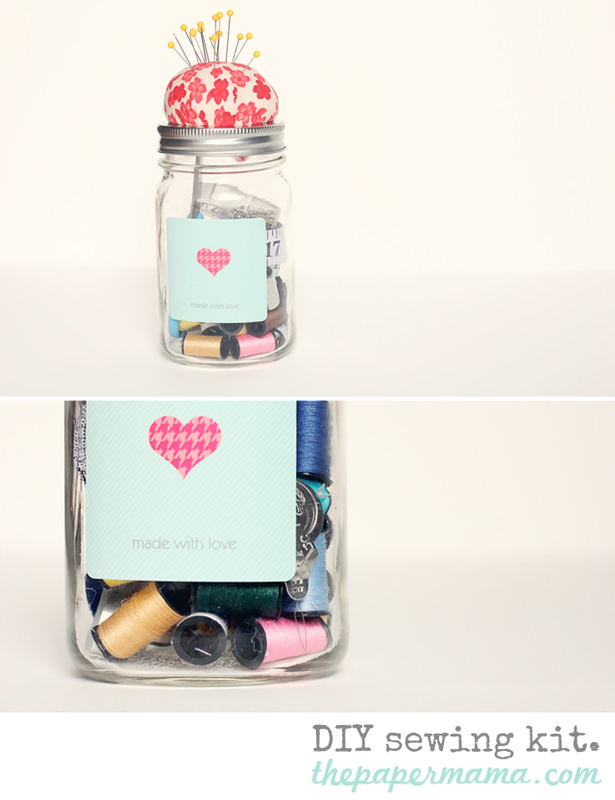 I’ve seen these sewing kits wandering the Pinterest world…. AND, I had to try it for myself. Christmas is just around the freakin’ corner. Get ready now! – A piece of fabric (I used a 10″ x 10″ piece). – A sweet “made with love” sticker from Pear Tree Greetings. 1. Taking the center piece of the lid (or cardboard): pile the stuffing on top and wrap the fabric around…. glue down the fabric to the opposite side of the lid piece. This should create a little cushion! note: don’t put too much stuffing in… it will be hard to do this next step. 2. Take your cushion piece and push it through the lid…. squish it through! You’re welcome to glue it… but, I didn’t need to. 5. Give to a sweet friend this holiday season! I’m giving mine to one of my less crafty friends… I feel she made need a sewing kit. ;D P.S. I made one for me too!